No longer do you have to be a famous in order to tap into Facebook's live video streaming capabilities. After giving celebrities the option to broadcast live video to their followers, Facebook is now rolling out this “Live” streaming feature to iOS users in the U.S. 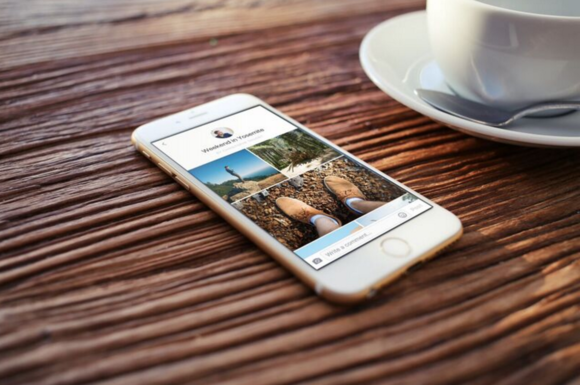 The Live feature allows you to record and share video in real time using the Facebook app. After Live is enabled, you will see a new “live video” option when you tap to create a Status Update. Once you tap to “Go Live,” you will see the number of viewers tuning in to your live stream, the names of your Facebook friends who are watching, and whatever comments pop out in real time. 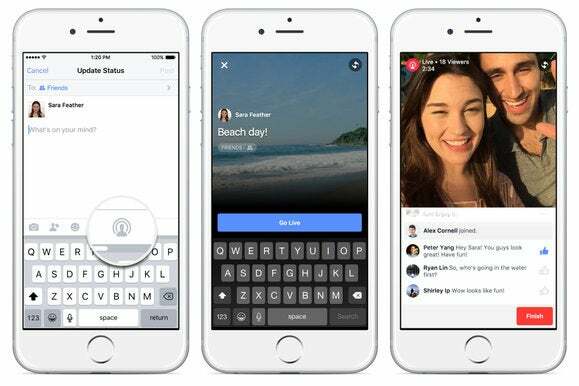 Facebook’s Live feature is similar to standalone live-streaming apps Meerkat and Periscope. The main difference is that replays of Facebook live-streams won’t disappear after 24 hours, as they do on Periscope and Meerkat. Instead, Facebook Live video replays will show up on your timeline and stay there until you choose to delete them. Theoretically, could remain on Facebook for all eternity—kind of like those embarrassing photos of you from college. Facebook is slowly rolling out the feature to a small number of iOS users the U.S. that way your News Feed won’t get bombarded by live videos. But you might soon start receiving a push notification when one of your “close friends” (as designated by Facebook’s algorithm) starts a live broadcast. You can also subscribe to get alerts on someone’s broadcasts even if you are not close friends. In addition to the expanded Live video feature, Facebook also announced a new way to view photos and video by grouping them together in a scrolling collage. These collages are organized automatically from your phone’s photos and video that were taken on the same day or in the same location. Collages can be viewed on Facebook’s iOS and Android apps but can only be created for iPhone users right now. They will begin rolling out to Android users next year, according to Facebook. Why this matters: It’s been less than a year since live-streaming first gained traction with smartphone users, and early entrants like Meerkat and Periscope are already getting competition from big tech. Meerkat came out earlier this year, just in time to become the breakout app at South by Southwest. Twitter acquired and launched Periscope shortly after, and in August, the company reported that Periscope had hit 10 million accounts and 2 million active daily users. 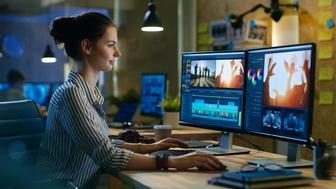 Despite the growing popularity of these live-streaming apps, Facebook’s advantage remains its size and its social graph. On Periscope and Meerkat, your live viewers consist mostly of strangers lurking at any giving time on the app. With Facebook Live, however, your friends and people you actually know will be more likely to tune in, making them a far-more engaged audience for your live antics and oversharing.